President Donald Trump’s announcement in December that the United States would be imminently withdrawing all its troops from Syria seems to have taken everyone by surprise, from his own top advisors and generals, to congressional Republicans, to the soon-to-be-former allies of the US , the Syrian Democratic Forces. Even Turkish President Recep Tayyip Erdogan, who has been fervently pushing for this very withdrawal appeared a bit unprepared for the swiftness of Trump’s declaration. Over a month later the eventual outcome of this move is wildly uncertain. While the process is supposedly underway, it may be called into question following a mid-January ISIS-claimed bombing that killed at least ten Syrians and four Americans in the SDF-held city of Manbij, which has shed a very public light on Trump’s (erroneous) claim that “We have defeated ISIS in Syria”. The timeline for this withdrawal is so uncertain that even Trump is having trouble making up his mind. The primary consequence of the withdrawal, however, should it go ahead, is not the possibility of a renewed ISIS (at least not directly). Nor is the move, as pro-rebel neoconservative commentators and politicians have suggested, a “gift” to Iran or Russia. 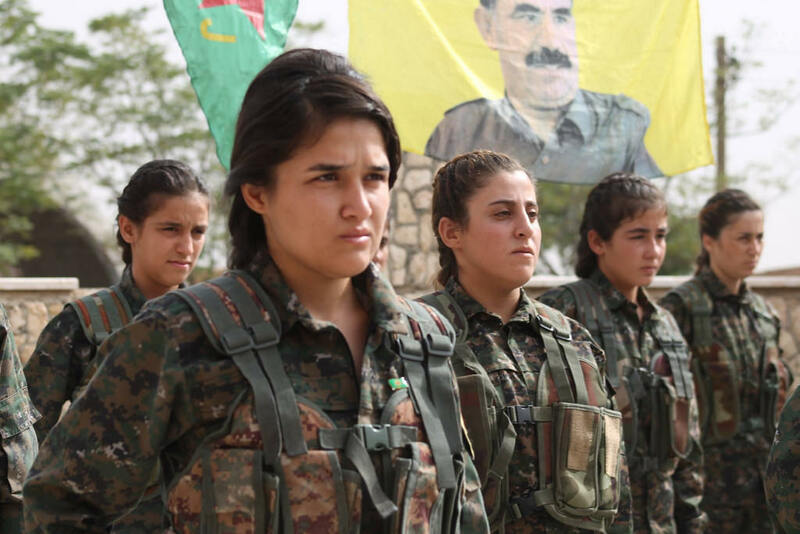 Rather, the implications center around the Syrian Democratic Forces, and more specifically, the Kurdish political party leading the coalition, the Democratic Union Party (PYD) and their affiliated militia, the People’s Protection Units (YPG)/Women’s Protection Units (YPJ). The PYD rose to prominence in the early years of the civil war, consolidating power in the Kurdish-majority northern regions of Syria after Syrian Arab Army (SAA) troops left to fight against rebels in the west. In 2015, the Syrian Democratic Forces was created as an alliance of Kurdish, Arab, Armenian, Assyrian, and Turkmen groups—a YPG-led alternative to the Syrian government and the Islamist-dominated rebels. The United States threw its weight behind the SDF in order to drive back ISIS in Syria, which it did quite effectively, capturing major cities from the Islamic State in the north of Syria and east of the Euphrates river. At present it and the SAA have reduced ISIS to a small pocket in the southeast near the Iraqi border. To understand the PYD you have to go back much further than the Syrian Civil War, all the way back to 1970’s Turkey, and the formation of the Kurdistan Worker’s Party, or PKK. The PKK was founded as a Marxist-Leninist militant group fighting against the Turkish state for Kurdish autonomy. For 40 years they’ve been fighting an insurgent war against Turkey, a conflict that has also spread to Iraq and Syria. The PYD is in essence a Syrian offshoot of the PKK, though the actual nature of the relationship between the two is more complicated than that, and subject to intense debate. They currently adhere to an ideology developed by PKK founder Abdullah Öcalan known as “Democratic Confederalism“, which emphasizes secularism, ethnic pluralism, socialism, and feminism. Turkey and the United States (among other nations) categorize the PKK as a terrorist organization due to its militant operations in Turkey. However, Turkey also categorizes the PYD/YPG, which it sees as nothing more than the Syrian wing of the PKK, as a terror group. The United States does not, which has enabled it to continue supporting the YPG through the war, much to Turkey’s anger. 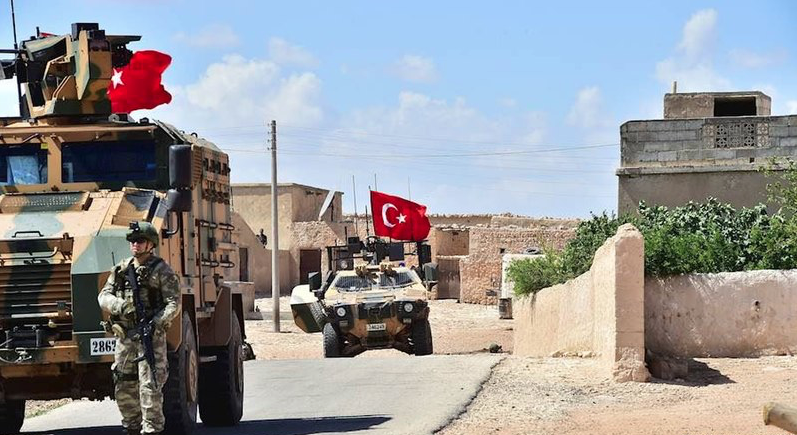 Turkey is quite open about its opposition to an autonomous PYD-lead Kurdish region on its border in Syria, which is what the PYD hopes to attain through talks with the Assad government. They have made numerous attempts to counter the YPG in northern Syria, firstly through Operation Euphrates Shield, a 2016-17 incursion into ISIS territory in the northern Aleppo Governorate designed to prevent the YPG from linking the broader SDF territory to Kurdish-majority Afrin in the northwest. Then in early 2018, Turkey launched Operation Olive Branch, which saw Syrian jihadist rebels, backed by Turkish troops, artillery, and air force, invade Afrin and force out the YPG. Despite the YPG’s alliance with the Americans, Afrin was not considered to be under the protection of the US, but rather Russia, which stepped aside to allow Turkey’s invasion. The American withdrawal could leave the YPG as vulnerable in the rest of Syria as they were in Afrin. Despite their backing from the US, the YPG is still a militia and lacks many of the capabilities of a modern army, including anti-aircraft weaponry and substantial artillery. In short, they would not be able to repel a Turkish invasion, a prospect which seems inevitable as the Turks prepare thousands of troops along the border in Turkey and rebel-held Syria. So why is the US selling out the PYD so suddenly? It’s likely largely futile to ascribe a deep ideological or strategic motive to Trump’s foreign policy, but it looks like Erdogan did a good job of convincing him in a phone call the two had just before Trump’s December announcement. At the same time as this, the US approved a $3.5 billion missile sale to Turkey. In the end, Turkey is a close NATO ally, and one of extreme strategic importance. The US was never going to part ways with them in favor of Kurds running around in a war zone. 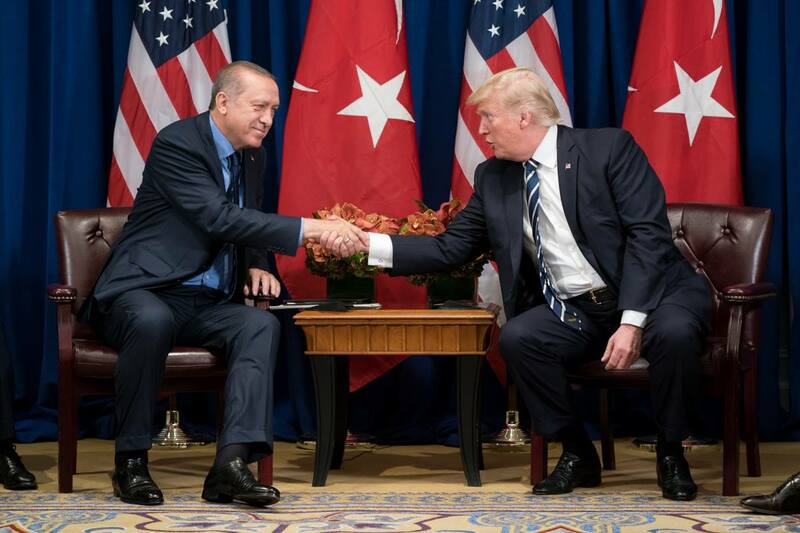 In fact, the rocky relations Turkey had with the US seemed pretty patched up, with the Pastor Brunson business having been resolved and the agreements over Syria, until January 13, when Trump tweeted “Will devastate Turkey economically if they hit Kurds. Create 20 mile safe zone….” What exactly this means is unclear, especially if the US is to withdraw. Will Russia administer this safe zone? Will NATO? The UN? All these options seem highly unlikely. The 20 miles south of the Turkish border contains a lot of people—it’s not like the Korean peninsula where you can set up a DMZ that nobody lives in. Turkey seems to have taken the idea as a safe zone for itself, the idea being to push out the “terrorist” YPG from that 20 mile zone and have it be run by the Turkish military and its proxies. Even if Trump does take to this idea, it is very likely functionally impossible. The YPG will never accept such a deal, and have said as much. The atrocities, theft, and ethnic cleansing in Afrin perpetrated by Turkish-backed Islamists has given a clear warning as to what will occur should Turkey be allowed to take Kurdish territory again. The Syrian government would also never accept such a proposal, as it seeks to consolidate the political and territorial integrity of Syria. The continued presence of Turkey in Syria, through its “observation posts” in Idlib and its occupation of Afrin, enable the continued existence of the last rebels the government needs to defeat. Further Turkish occupation would be entirely out of the question. So what is the plan, if the two largest native forces reject it? Well, its uncertain, but its unlikely it’ll be anything that offers genuine protections to the PYD. American national security advisor John Bolton has indicated that the US will ensure the safety of the Kurds, but the extent to which him and Trump are on the same page is suspect after Erdogan rebuked Bolton for his suggestion. He’s not exactly the most reliable ally anyway. In 2017, Bolton wrote about the “post-ISIS strategy” for the American Enterprise Institute, and discussed Turkey and PKK, writing “In Syria, Kurdish forces fighting ISIS are linked to the Marxist PKK in Turkey. They pose a real threat to Turkey’s territorial integrity, even if it may seem less troubling now that President Recep Tayyip Erdogan’s plans have turned so profoundly contrary to the secular, Western-oriented vision of Kemal Atatürk.” These are not the words of someone committed to standing by the PYD against Turkish aggression. In the end, its likely America was going to leave the PYD/YPG out to dry. The move may have been sudden, but should have been expected at some point. The YPG just isn’t strategically important enough, and Trump has been signaling from the start of his presidential run his intent to withdraw from Syria. On the positive side, what it has done, is speed up reconciliation negotiations between the Syrian government and the SDF. While the latter is technically in rebellion, the two sides have never had major conflicts over the course of the war, and the stated goal of the PYD is not secession or the overthrow of the Assad government, but a federalized Syria. While they likely won’t end up with that, given their weakened hand after Trump’s announcement, SDF leadership has indicated a deal is inevitable. What might come out of such a deal is unpredictable, but will certainly include minority language recognition and rights, and likely some limited form of self-governance, with the YPG possibly being incorporated into the Syrian armed forces. More importantly, it will allow the Syrian government and the SDF to form a united front against Turkish aggression. With the invitation of the YPG, Syrian and Russian forces have moved into the outskirts of Manbij, where Turkey plans to make its first attack, and are patrolling alongside SDF troops. If negotiations move swiftly, the SAA could move into the rest of northern Syria to protect the border area alongside the YPG. Faced with a real army with strong technological capabilities, Turkey would be a lot more reluctant to invade. If the American withdrawal happens, and it results in a quick reconciliation between the Syrian government and the SDF, it will have largely been for the best. Above all, this war in Syria needs to end, and an agreement between the two main secular forces in the country is an important step in that direction. 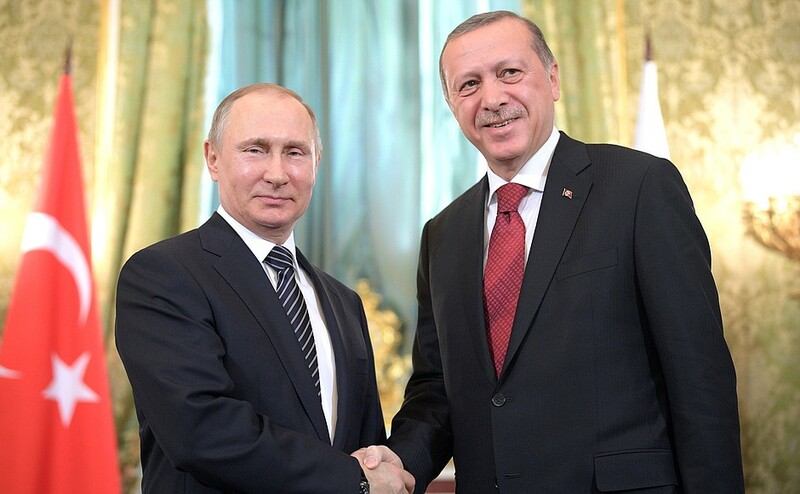 Standing in the way of peace is Turkey, both through its backing of Islamist rebels in Idlib and its occupation and threat of further invasion in the north. The American presence may have prevented that threat for the last few years, but that protection was always on a timer. 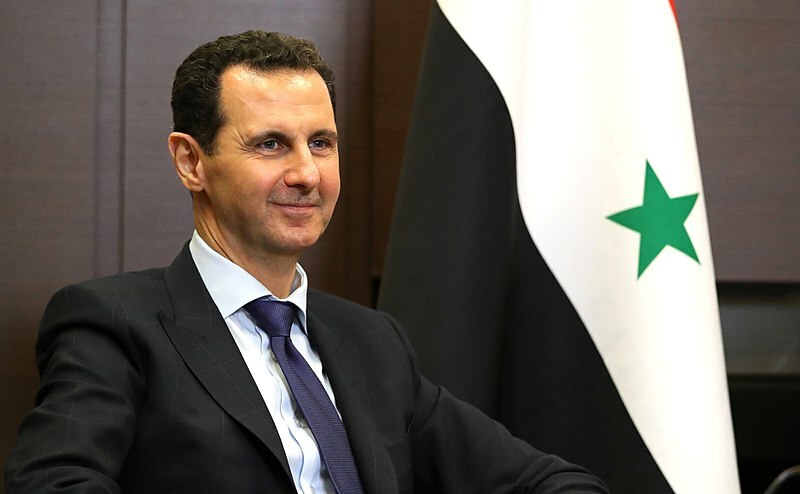 Now that that time has likely run out, there’s an opportunity for Assad and the PYD to get Syria back on track, free of war and foreign invaders.